Hey guys, welcome back to another installment of the wonderful world of essential oils and men! Today I am going to start with a question for you. You know how when can tell someone has wanted to ask a question for a while but never really been able to work out how to do it and then it just flies out? This was that occasion… a blurted out question full of bravado and a little anger… and all from the most gentle soul you will ever meet. Her question: “Yeah, that is all well and good Paul, but can you PROVE that they work?”. Let’s go back a bit HIMYM style… We were at a friend’s place – and yes, there was a little alcohol involved – not enough to give us a hangover but enough to loosen lips. Another friend was asking me about my website and what I was up to. I was carrying on abut the price of Rose oil and being VERY funny about it when the above questions came at me from nowhere. Angela wasn’t cranky, more concerned… There was a discussion which I will now share with you (with Ange’s permission) and my responses to her questions including the main one of can I prove that essential oils work? actually six months since I started this journey and I have certainly learned a real lot about essential oils. More than I ever thought I would. I have mansperimented a lot, sniffed a lot, researched a lot and rolled my eyes a lot at the things that these little bottles of smelly liquid are supposed to be able to do. Am I still skeptical? Absolutely! Do I think that essential oils are worth using? In most cases yes. Do I think they are worth the money? ummmmm…. depends. Anyway let’s revisit my journey based on Ange’s questions – starting with the big one! have discussed in other posts. I know that “they just do” is not really an answer but in terms of my original skepticism, that is the answer I have but can I prove it? No. 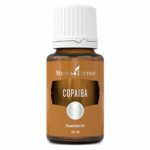 I have mentioned this a few times on this site in regards to Copaiba on my calf muscle cramps. I get them quite badly and have always taken paracetamol for it. Nic mixed 4 drops of Copaiba with a ‘dollop’ of coconut oil in the palm of her hand and rubbed it on calves and, after about 5 minutes, the pain went away. Can I prove that it worked? No. Did it work? Well it certainly appeared to – and has since – which is probably the biggest test – whether it works more than once. Sniffing Rosemary, Lemon or Northern Lights Black Spruce when I need to concentrate on work and am feeling a little tired. Grounding oils on my wrists and neck when I am ‘all over the shop’ and need to be brought back into the present. I can honestly say that I believe that these work. I can’t prove that putting Frankincense on my head calms me down ready for sleep but it does. Highly likely it is a placebo effect or even a bit of the old Pavlov and his dog, but you get my drift. Although the flies definitely disappear after the lemongrass comes out so I guess that is a little proof! Now for her final question, and what I believe is the focus of her own skepticism. Of course we do. I am a believer in essential oils but also a realist. Whilst they have been used for thousands of years for medicinal purposes I am not even close to being convinced that I can give the doctor the flick just yet. I am not a fan of being dosed up with a lot of chemical laden drugs, but if it is the only proven thing to date that keeps me alive then bring it on – although don’t get me started on what is proven and what is not in the pharmaceutical world. If in time essential oils can be proven to cure some of the many many many ridiculous things that some pages say that they can, then I am all in, but until then… not really. I do know that my panaway and peppermint concoction certainly does help with my joint pain, but I am not going to apply it if I have a tumor on my leg. From here the conversation went a little off script – remember there was beer and wine involved. I will just list them Q &A style to save you some time. No, Nic sometimes puts a single drop of Lemon into her water bottle for flavour but I am not into consuming them at all – I cannot see the point and am not convinced about it just yet. 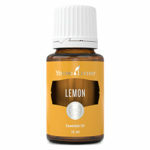 Do I believe that Lemon and Northern Lights Black Spruce smell amazing together on my skin? Yes I do – and so does Nic as she keeps using it all. Do I believe that it gives me a little energy lift? Yes I do. 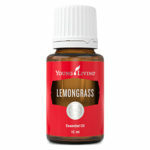 Do I believe that the Lemon Essential Oil is going to stimulate lymphatic drainage – If I even knew what that meant my answer would still be no! What are your beliefs? I would love to hear about them below. Need some stuff to help you with your use of essential oils? Want more information, free stuff and access to manly promotions? Click here to subscribe to my newsletter. Note: If you make a purchase from this page, there is a very good chance that I make a commission from it – these commissions do not increase your sale price. 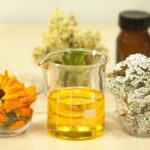 All essential oil prices listed are in Australian Dollars ($AUD) – To see prices for other areas, select the relevant country flag at the top of the page or from within the shopping cart area (unfortunately you may also need to re-select your purchase here). Also, if you are making a purchase and the enroller ID is blank, please help a brother out by adding 15846324 to the enroller and sponsor ID fields. Amazon prices are in $USD.